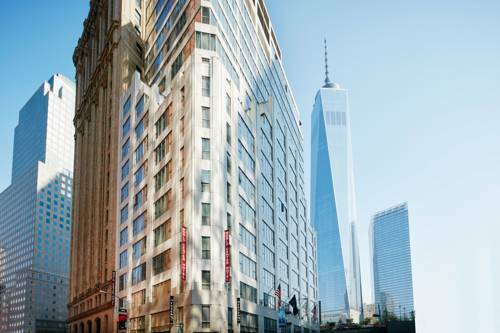 The World Center Hotel is located in the heart of downtown Manhattan with views of the new Freedom Tower - 9/11 Memorial and reflecting pools. Nearby neighborhoods include the Financial District - Tribeca - Soho - Battery Park - South Street Seaport - Wall Street and Chinatown and close to dining - shopping and entertainment. The View of the World Terrace Club is the onsite year round indoor outdoor rooftop restaurant that offers modern American cuisine and spectacular views of downtown NYC.